I’ve never really enjoyed science. I was good at it in school, my parents even have a book somewhere with my name printed in it as a “national science scholar”, but I really never liked it. Of course, because God occasionally needs a good chuckle, I was gifted with Mr. C, a naturally-born scientist. He wants to know how things work, why they work that way, and understand the ins and outs of everything. Because of this, I tend to be at a loss for science in our homeschool. We tend to be workbook based, and I love curriculum that can be a mix of teacher-lead and student-lead because sometimes this mama is busy! 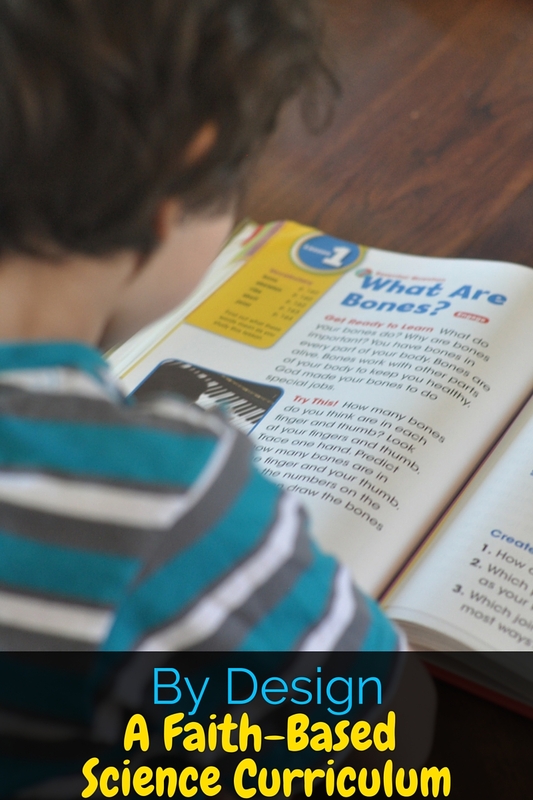 I received a copy of the By Design grade 1 elementary science curriculum for free in exchange for my honest review. I was compensated for my time, but I was not required to give a positive review and all opinions are 100% my own. See my full disclosure policy here. What Is By Design Elementary Science Curriculum? 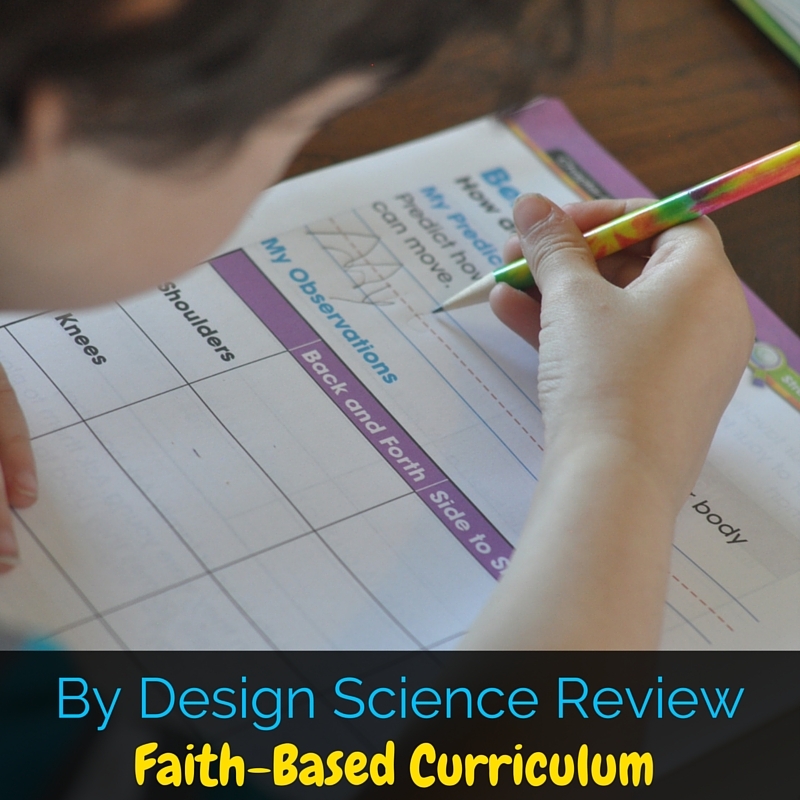 By Design Elementary Science Curriculum is an faith-based, developmentally appropriate, inquiry science curriculum for elementary school. It comes with a teacher guide, a student text book, and student journals broken down by each unit. The program focuses on inquiry based science, so kids are able to engage with the content their learning rather than just memorizing facts. The curriculum materials are bright and pretty, and the student notebooks are color-coded by unit. The text in the books is large enough to easily be read by my six year old, and he could work out most of the words on his own. 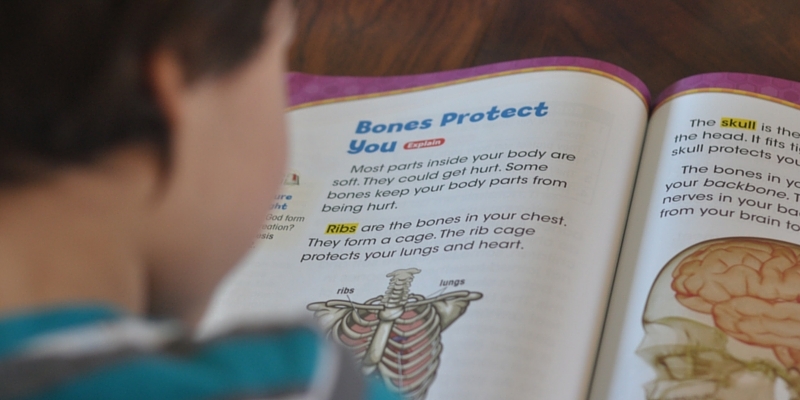 The By Design curriculum is faith-based, so verses are referenced throughout the text and related to the lessons. The curriculum is written from a Seventh Day Advantist world view, but as a Christian, I didn’t notice anything that was outside of what we would normally tell our kids. Mr. C took the text book almost as soon as I took it out of the box and read it cover to cover. He was so excited about it, I’m pretty sure that he’s read the textbook several times. His favorite chapter was the chapter on bones, so we were able to start there. We loved that the unit notebooks were separated because Mr. C tends to get overwhelmed with bigger workbooks. The activities were simple to do and didn’t require me to go out and get a bunch of extra supplies. For one experiment we tested which was a stronger structure, one made out of dry spaghetti noodles or one made out of cooked spaghetti noodles. It was so silly that the lesson really sinked in! 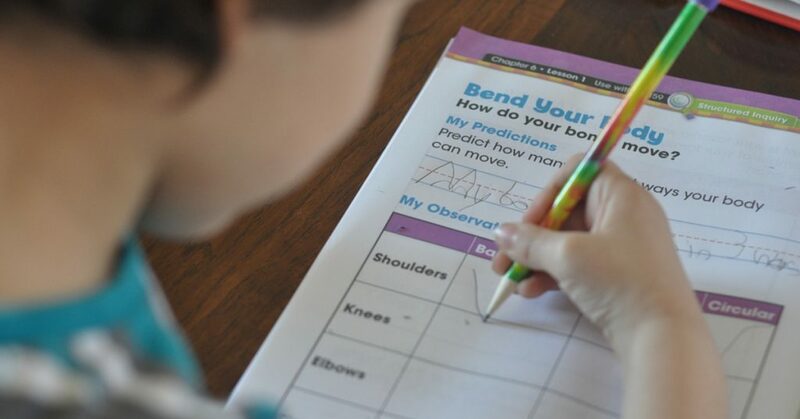 Some of the activities are better geared towards a classroom versus a homeschooled student because they ask to survey boys vs. girls or something similar. We either skipped those activities or changed them up with some different variables. The curriculum would be a great fit for a homeschool co-op, though! We loved how bright and colorful all of the materials were in the By Design science curriculum. Mr. C liked pointing out the different pictures, and the color-coding made it easier for him to find which journal he needed. Mr. C really liked that the science curriculum was inquiry-based. The text really kept him engaged and asking questions, rather than being a dry list of facts. As a mama, I appreciated that it helped him with critical thinking skills, since they didn’t stop at asking questions but helped him find the answers. I also really appreciated how extensive the teacher’s edition was. It showed the full pages of the student’s text book, so it was easy for me to help with pronunciation of big words that Mr. C struggled with. It also gave me some insight into some extra questions to ask him so that we could discuss the text. I struggle with science, so this was a big help to me! I also loved that the activities were simple for me to put together. If a science project is too involved or I need to go to the store for too many random supplies, we just never get to it. These projects were easy for me to help with, and they helped the lessons stick for Mr. C.
And of course, Mr. C was thrilled that this was faith-based curriculum. He gets so excited when he sees Bible verses in any of his homeschool work. 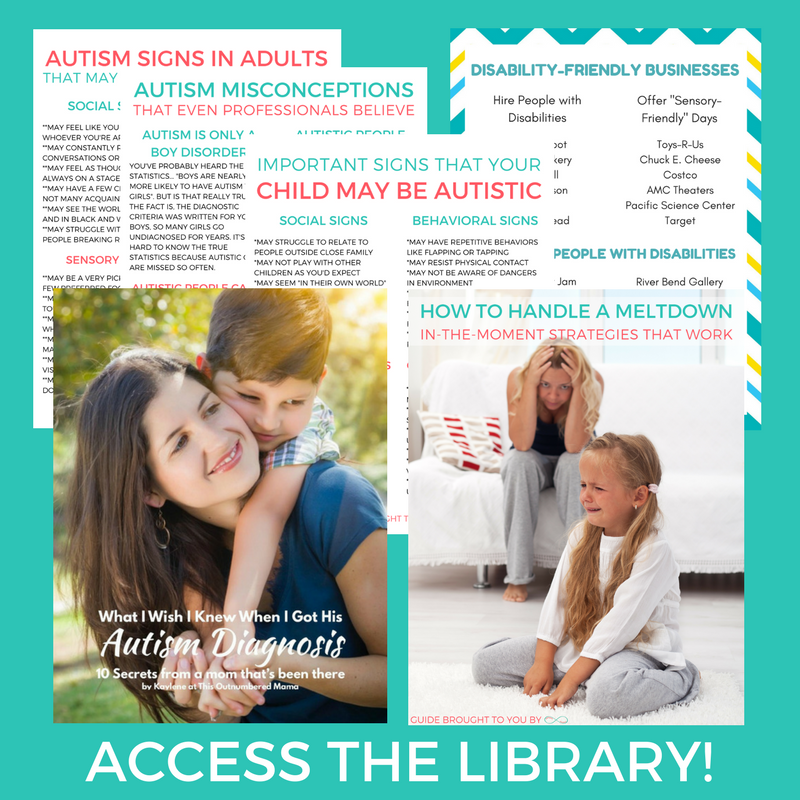 You can buy the By Design Elementary Homeschool Science Curriculum here. Kendall Hunt also provides faith-based programs in Reading Language Art called (Pathways) and a New Kindergarten program (Stepping Stones). In addition, Kendall Hunt offers Talented and Gifted programs in mathematics (M2 and M3) as well as products developed in collaboration with the CFGE (Center for Gifted Education) College of William and Mary in subject areas such as language arts, social studies, and science. Overall, our family really enjoyed the curriculum! I loved that Mr. C was able to do a lot of it independently when I needed him to, and he loved having some new science reading material! Tell me, what science curriculum are you using this year?